Smart, funny, uplifting, tender, and merciless, all at once … a remarkable achievement for one novel. An uproariously satirical book, the product of an opulent imagination. It is not just heartening, but surprising as well, to find so generous and original a first novel. 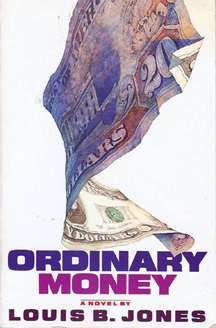 Wise and accomplished and funny, Ordinary Money presents a vision of the interconnectedness of ordinary things.